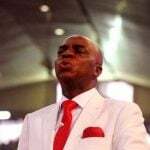 Popular Nigerian movie director, Ifeanyi Onyeabor, has passes on. Ilya Kovalchuk and Nikolai Prokhorkin each scored two goals and the Olympic Athletes from Russia blanked arch-rival United States 4-0 in an electric atmosphere on Saturday at the Pyeongchang Winter Olympic men's hockey tournament. 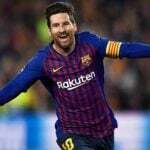 Carles Puyol says Lionel Messi is the best player in football history, and credits him for improving “in every way” as Barcelona close in on a treble. Radamel Falcao was unwilling to discuss his Monaco future, but believes he can play at the top level for "many years". 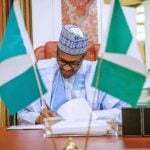 The All Progressives Congress (APC) has said President Muhammadu Buhari’s assent to the new minimum wage is a proof that he matches his words with actions. Ainsley Maitland-Niles believes Arsenal’s run to the Europa League semi-finals will aid their Premier League top four push against Crystal Palace on Sunday. 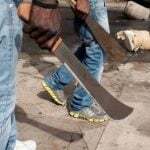 Many were feared killed on Saturday in a fresh crisis between Jukun and Tiv tribes in Wukari, south of Taraba State. 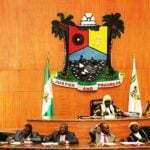 The Lagos State House of Assembly has recommended a fine of N250,000 or six months imprisonment for any individual who obstructs members of the Lagos State Neighbourhood Safety Corps (LNSC) from carrying out their duties. 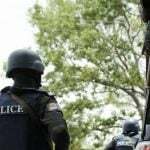 The police have nabbed a top kidnap kingpin and one other in connection with the alleged kidnap of Channel Television staff on Abuja-Kaduna Expressway. 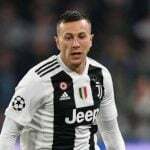 Federico Bernardeschi retains faith in Juventus' Champions League aspirations in the wake of their elimination at the hands of Ajax and believes they will win the competition within two seasons. Uber, a transportation network company, headquartered in San Fransisco, has re-assured its users in Nigeria of safety due to innovative safety tools recently put in place.